WINTER SPORTS! | SHEBOYGAN BICYCLE COMPANY – SHEBOYGAN BICYCLE COMPANY | WE ARE A BIKE SHOP WITH SALES, SERVICE AND RENTALS! When the temps get cold we don’t stop going outside. We just switch to cross country skis and snowshoes! We are your one stop shop for skis and snowshoes. We offer full service skiwaxing along with rentals. 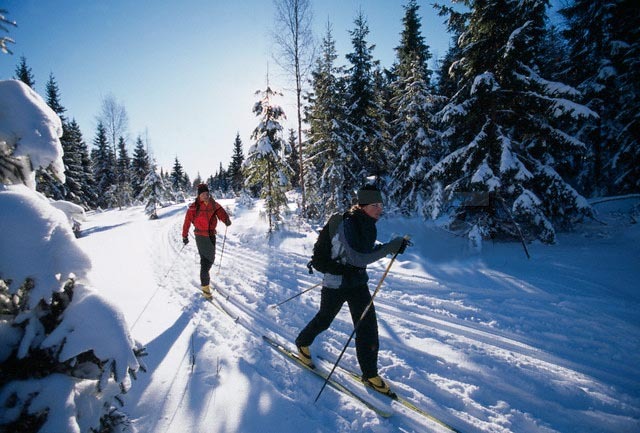 Not sure cross country skiing is for you? Stop in and rent a set and if you end up buying a kit we will deduct the rental cost for the purchase. You have nothing to lose!Same go’s for snowshoes. Give them a try before you buy! Kahtoola Micro spikes and the larger Crampons are the ticket for winter hiking. Fits tennis shoes up to large boots and gives you awesome footing on packed trails! We proudly sell Fischer ski‘s, Swix poles and waxs and Redfeather Snowshoes.